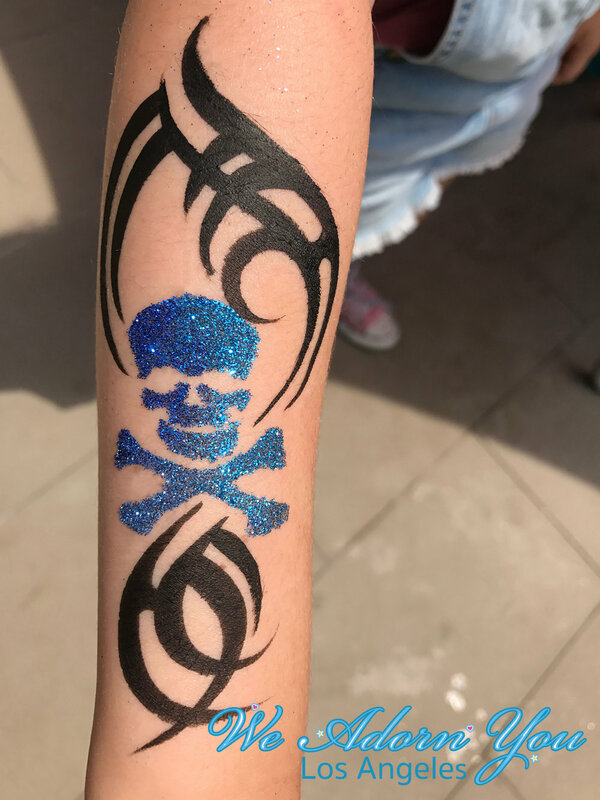 If you’re looking for a bit of glamour and that WOW factor, book one of our professional Glitter Tattoo artists for your next party. 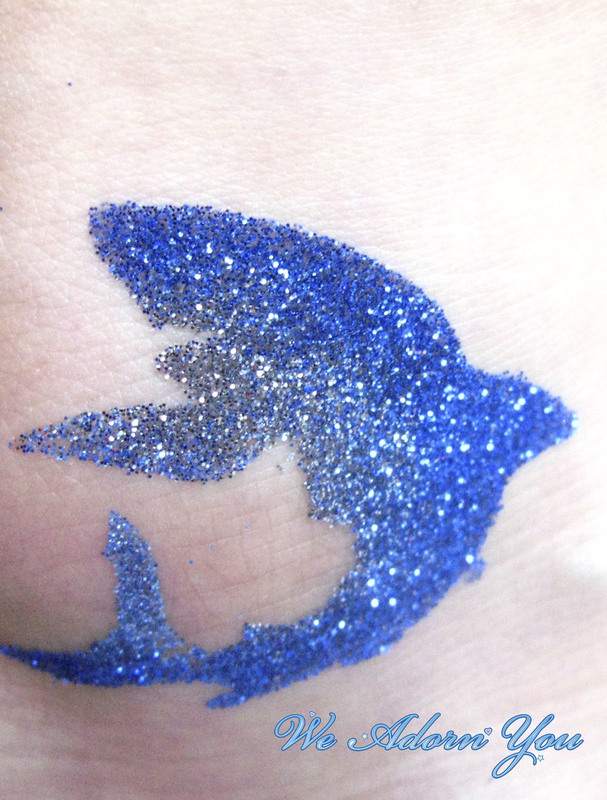 Glitter Tattoos are quick to apply, dry fast, last up to 7 days and they’re waterproof. 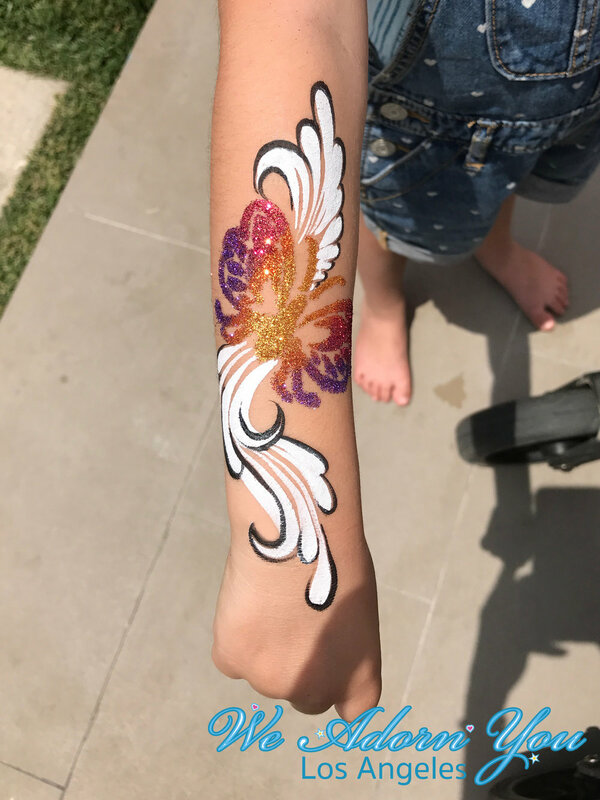 We have many designs to pick from and we also offer custom stencils which can be made specially for your party (logo, name, characters, etc…). 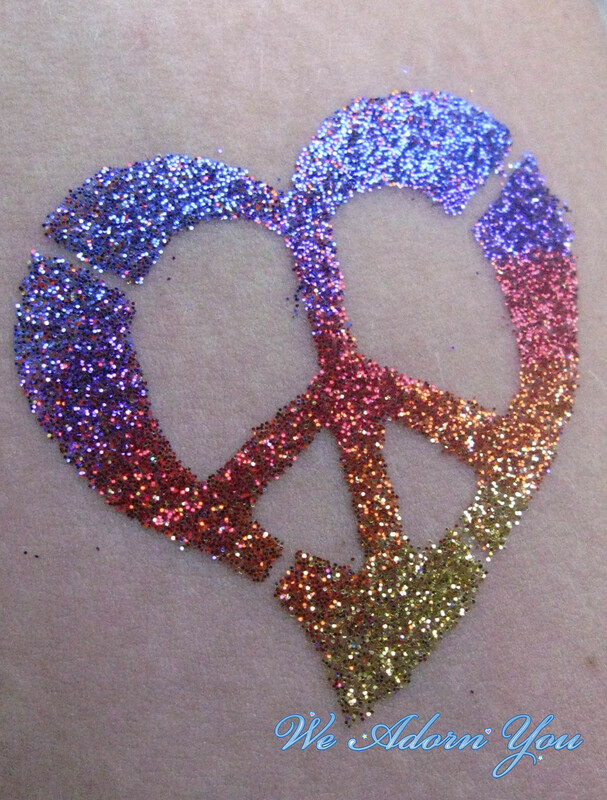 We have over 15 different colors of glitter and several black light reactive colors as well.